I am always in search of a great way to prepare burgers. In the past, I have featured scrumptious pesto-topped burgers, and heart-stoppingly good cheddar-melts. Recently, I came across some inspiration for Cuban-style burgers. Ground beef: McLaughlin Farms (Michigan) pasture-raised Scottish Highland. 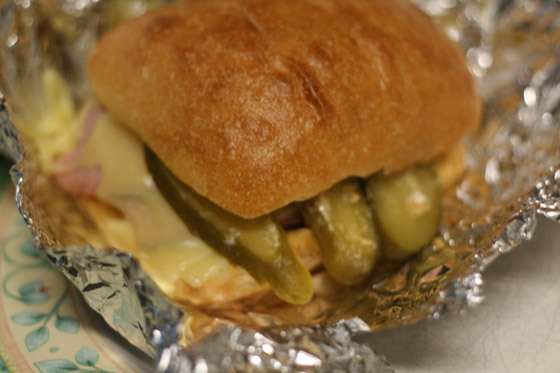 Toppings: Swiss cheese, all-natural ham, all-natural pickles, dijon-style mustard, mayonnaise, crushed garlic. After cooking the ground beef (lightly seasoned with salt and pepper, you layer it into the ciabatta bun with ingredients and then wrap it in foil. 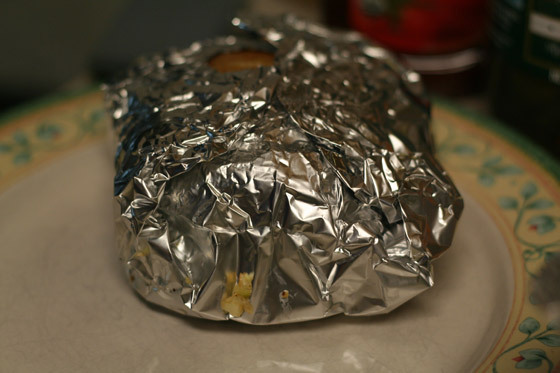 The foil-wrapped burger goes back onto the pan (or grill) and gets pressed for a few minutes. The pressure helps melt the cheese and turn the entire concoction into a gooey mess of Cuban-style goodness. I also took some video of the preparation and will post that in the near future.